Your driver will be waiting at Amman (AMM) airport to take you directly to your hotel in Amman - a 40-minute drive. There are no activities planned for today. Please keep in mind that hotel check-in time is typically after 2.00pm. Early check in is not guaranteed, but if you do arrive early luggage storage is available at the hotel. There will be time to rest and settle in before you meet your tour guide for the trip. He'll be happy to answer any questions about the journey, and to make sure you're briefed on the program for tomorrow. Jordan's capital is a real, living city, full of quirky neighborhoods, friendly people, and fabulous food. You'll begin up at the citadel, where you can take in the views and explore the Roman and early Islamic ruins. 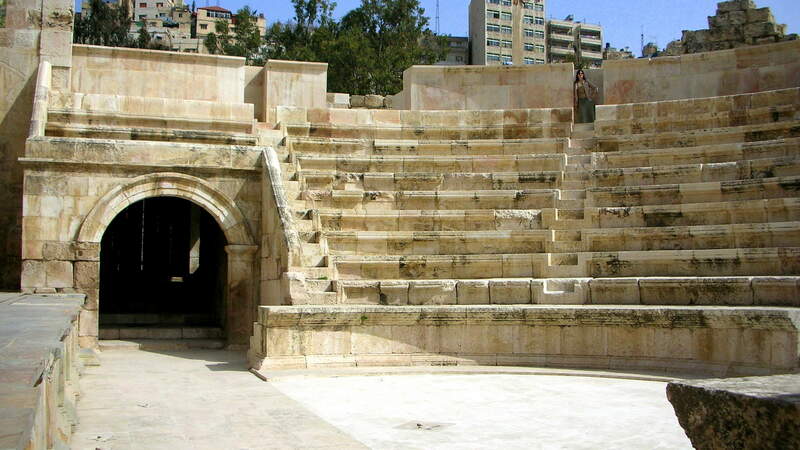 Just downhill is the Roman theatre, built during the reign of Emperor Antonius but now embedded into modern Amman and still used for cultural and musical events. From here you can wander through the markets, maybe stopping in a local café to take in the street scenes, watch the old men playing backgammon, and try Arabic coffee and pastries. This is also a good chance to smoke the scented tobacco of the argeelah or hubbly bubbly. 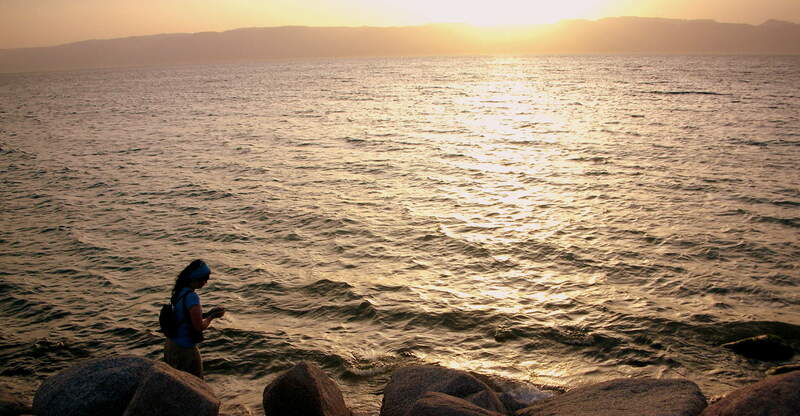 Today you'll head down to the Dead Sea and have the chance to float in its warm, intensely saline water. It is an unforgettable experience! The Dead Sea is the lowest point on the surface of the earth (some 400m below sea level) and contains mineral-rich muds that have been recognized since antiquity for their curative properties. This mud costs a fortune in Europe, but in Jordan you can scoop it from the seabed and cover yourself with it! The blue water, the white salt-encrusted shore, and the red desert mountains also make this an outstandingly beautiful place. From the Dead Sea you'll drive north to Pella, one of the oldest continuously inhabited cities on earth, and from here to the scenic Roman town of Um Qais. 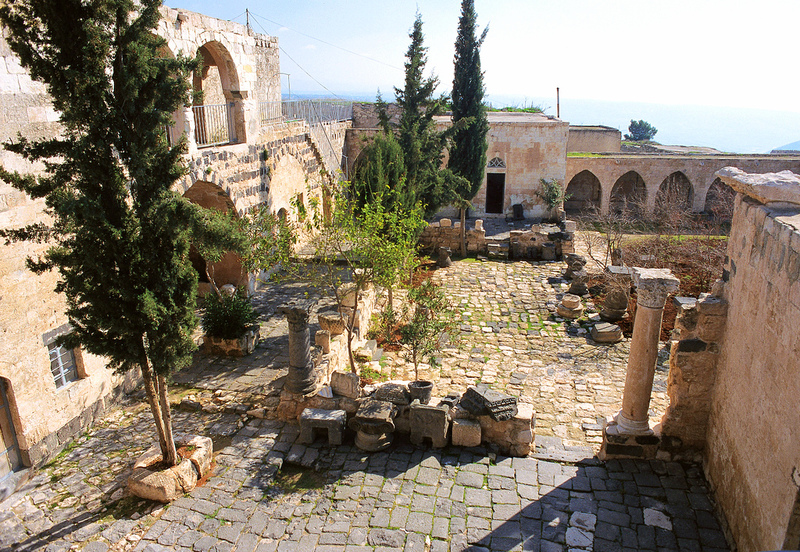 Um Qais is among the most atmospheric Greco-Roman cities of the eastern Mediterranean. The ruins are set on an unspoilt hilltop looking down towards the Sea of Galilee (Lake Tiberius) and across to the Golan Heights. Ancient Um Qais was known as Gadara, and it is under this name that the city is appears in the Bible as the site of one of Jesus' miracles. At that time Gadara was a major cultural and literary center, as well as a summer resort for wealthy Romans attracted by the serenity of these hills and the nearby hot springs of al-Hemma. The Roman theatre is particularly impressive, as are the sculptures in the small museum. Return to Amman in the later afternoon. You'll continue by road to Ajloun, a town still dominated by the castle that was built here some 800 years ago. Qala'at al-Rabadh, as the castle is known in Arabic, was constructed at the time of the Crusades by the nephew of Salah Eddin al Ayyubi (Saladin), and is one of the best examples of medieval Islamic military architecture in the region. From the rooftop you can see why they chose this site: on a clear day you can see right across the Jordan River Valley to the hills of Palestine. If you've got time it's worth walking around the hilltop, where you'll find the overgrown ruins of the medieval village that once surrounded the castle. Madaba is a lively little town a short drive west of Amman. It's famous for the mosaic map of the Holy Land that was found on the floor of a ruined Byzantine church. The map, made around 560 C.E., depicts the whole region in startlingly accurate detail, from the fish in the River Jordan to the streets of Jerusalem, and offers a vivid insight into the world of the first Christian pilgrims who toured late Roman Palestine. Many visitors see the map and move on, but there are other wonderful mosaics in Madaba and you'll get the chance to explore the best of them in the nearby archaeological park. A very short west of Madaba is Mount Nebo, a hilltop with sweeping views down to the Dead Sea and across the Jordan River towards Palestine. On a clear day you can see Jericho and even Jerusalem from here. For centuries Christians have believed this is the place where Moses died, within sight of the Promised Land, having led his people out of slavery in Egypt. In the early Christian period Mount Nebo became a place of pilgrimage, and it was at this time that craftsmen made the beautiful mosaics floors that have been excavated here over the last 80 years. We leave Nebo and head south along the Kings' Highway, which can claim to be the oldest continuously used road in the world. For millennia it linked the civilizations of ancient Egypt and Mesopotamia, and remained an important trade route right down to Ottoman times. Since the construction of the new main road from Amman and Aqaba, the Kings Highway has become a scenic back route, twisting and turning through the hills between Petra, Kerak, and Madaba. Your next stop is the hilltop town of Karak, which has been a strategically important site for at least three thousand years, controlling the ancient caravan road between Syria and Egypt and commanding immense views down into the Wadi Araba south of the Dead Sea. It was the capital of the ancient kingdom of Moab, and was also fortified by the Greeks, Nabataeans, and Romans. Today Kerak is known for the most recent of these fortifications, the great Crusader castle that dominates the town. Almost nine hundred years after it was built, the castle remains a brutal, frightening, undeniably impressive piece of architecture. It marked the eastern limit of the Crusader kingdoms that were created here in the 12th century and controlled the road between Syria and the Hijaz or Egypt. In 1176 it fell into the hands of one of the most sadistic and violent Frankish princes, Raynald of Chatillon, who used it as a base from which to raid the caravans and even to mount an attack on Mecca. It was besieged and eventually taken by the Arab Islamic armies of Salah Eddin (Saladin) in 1189. In the Ottoman period the castle was often occupied by Bedouin tribes in revolt against Turkish rule. Despite centuries of use Kerak castle is remarkable well preserved - you can wander though the stables, peer out of the arrow slits, and explore the sleeping quarters, bakery, and church. 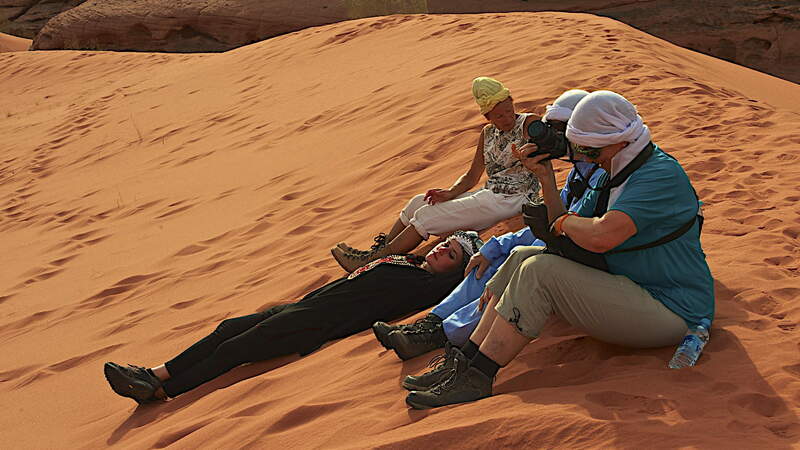 In the evening you arrive at Wadi Musa, which will be your base for exploring Petra. Check into a comfortable hotel for a two-night stay. No matter how many times you've seen it reproduced on film, nothing can really prepare you for the first glimpse of Petra. The classic entry to the city takes you through the long twilight of the siq, a narrow canyon that twists for more than a mile through the red sandstone, and then stuns you into silence with the sunlit façade of the Treasury, a monument cut into the rock some 2000 years ago with a refinement that is scarcely believable. ons chipped into the rock over thousands of years. From here you'll head south to Aqaba, where (time permitting) you'll be able to have a dip in the clear waters of the Red Sea. In the later afternoon you'll return via the desert highway (the fast road) to Amman and check into your hotel. Amman - Queen Alia International Airport (AMM). A transfer will be provided from the airport to your hotel in Amman - a 40 minute drive. Amman - Queen Alia International Airport. A transfer will be provided from your hotel Amman to Queen Alia International Airport (AMM) - a 40 minute drive.